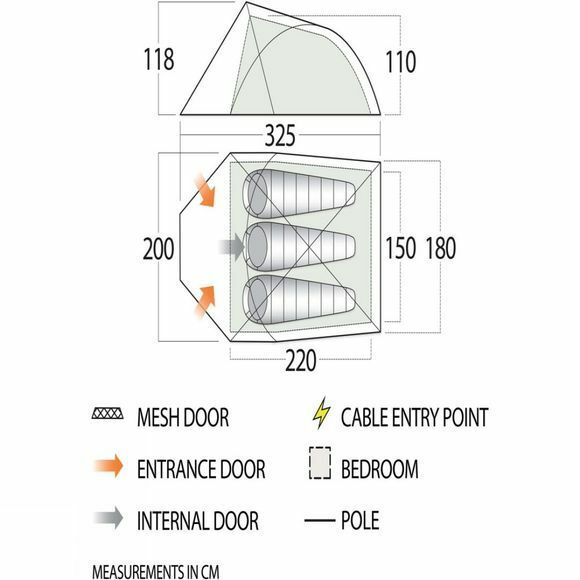 The Helvellyn 300 Tent from Vango is a semi-geodesic tent designed to sleep 3 people comfortably all throughout the year no matter the weather. Thanks to its clever design, the 3-person tent is self-supporting so can stand up to much tougher conditions than a traditional tent. Designed for those who size and weight are a priority but still want a tent with enough room for a comfortable night's sleep and somewhere to store their gear out of the elements. 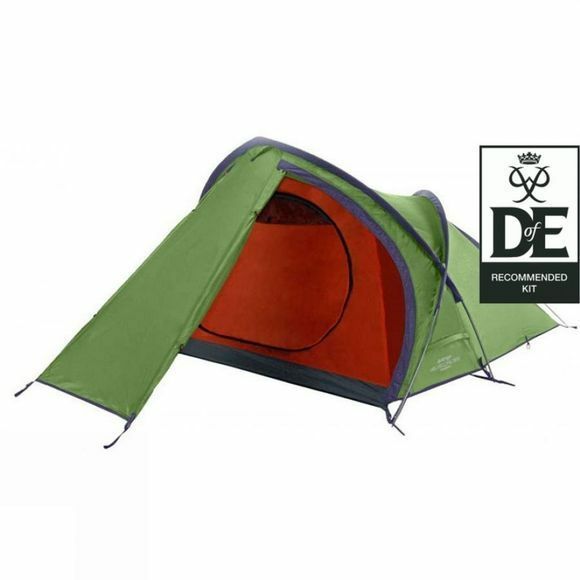 Recommended by the D of E, it is perfect for multi-day hikes and camping trips alike.